So, it’s a brand new year. 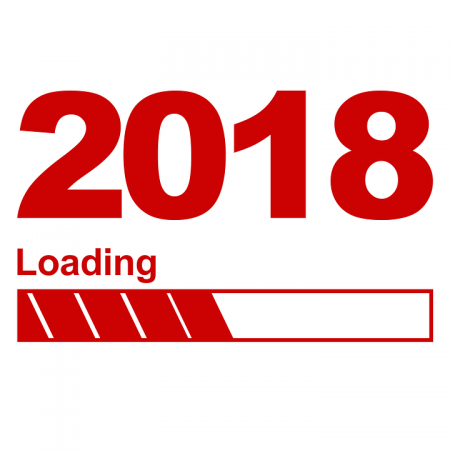 2018 is finally here. It’s a great time to discover the Kik Messenger app and its many wonderful features. How to make the most of Kik in 2018? Perhaps you haven’t been using Kik Messenger much recently or perhaps you have never used it before. But, whether you’d like to reconnect with the world’s most exciting instant messenger or try it out for the first time, you have come to the right place. In this tutorial, I’ll show you everything Kik Messenger can offer you to start 2018 with the right foot. Even if you have never used Kik Messenger before, you will probably know that it is an instant messaging app that is hugely popular particularly among young people in the United States, Europe and other parts of the world. 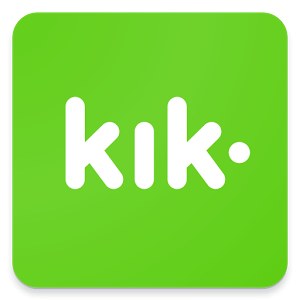 You can get the Kik Messenger app for free from any of the main app stores available, mostly the Apple App Store for iOS devices smart phones and the Google Play App Store for Android smart phones. So, there are really no excuses! If you’ve never used the Kik Messenger app before the first thing that you will need to do is to create a profile. So, once you have downloaded the app to your smart phone, you will need to launch (open) it and tap on “Register”. Type in your personal information. You will then be prompted to do a search for your contacts. If you’d like Kik Messenger to search for your contacts and add them automatically to your Kik Messenger, just tap OK. Kik will then search your phone for other Kik Messenger users that have used either the phone numbers or email addresses that you have on your device’s contact list. If not, just tap “Don’t Allow”. If you choose that latter option, you will be able to add your contacts manually later. In order to do so, you will need to access your chat settings and then address book matching. But you would only do that once you have completed the registration process. You will then be asked to add any additional Kik Messenger users. So if you already know the Kik user names of people who are not on your contacts, you will be able to add them now by entering their user names. Every friend you find will be added to your friends’ list. If you are on Kik Messenger to find new friends, you will also be able to do that now. Just search for your most common interests and you should be able to find some groups of users that share them and that you could talk to. You can also begin your group here. Finally, you will be asked to enter your email address. It is important that you enter a current and accessible email address because you will need this to complete the registration process. Once you have gone through all these different steps, just head over to your email inbox. You should be able to find an email from Kik Messenger. Open it and click on the link therein. If you cannot find the email, make sure that you check out your spam folders. If you still cannot find it, then launch the app, go into your account by tapping the gear icon. Go to email and tap the “Email is Unconfirmed” option and tap “yes” when prompted. How To Make The Most Of Chatting? Of course, the whole point of Kik Messenger is that you can chat with your new and existing friends wherever you guys are and no matter how far. Select the friend whom you would like to message with and start chatting. It is really just as simple as that! When you select a friend, you will get a message box for you to type your messages into. You will also be able to send them smileys, photos, etc. Whatever you type or share in the message box will not be shared until you tap the “send” button, which on some devices is a simple speech bubble icon. If you like to add an emoticon to your cha, then click on the emoticon button next to the message box. You will be then presented with a selection of different emoticons to reflect every emotion. Tap the one (or the ones) that you would like to share with your friend and they will be added to your chat. You can also share images and video on Kik Messenger. This is a great way to making the most of the app. If you already have images or video that you would like to share on your device, just click on the camera roll and select those files you would like to share. But if you’d like to take a photo or a video right there and send it, then tap on the camera icon. You’ll get the chance to review the video or photo you have just taken before you send it out. So, if you’re not happy with it for whatever reasons, you will be able to change it before you send it and it is too late. Now, you can share a lot more content on Kik than ever before! Just click the globe icon and you will have the option to share lots of fun stickers, hilarious memes, YouTube videos, links to websites, and even draw your own pictures! Just select the right option and know yourself off! Kik Messenger is now more fun than ever before so it’d be silly not to make the most of it, don’t you think? So this has been how to make the most of Kik in 2018. If you have any feedback or would like to share how you are planning to make the most of Kik this year, please leave us a message in the comments section below!